Travel insurance provides travellers with a sense of security to mitigate risks such as cancelled or delayed flights, medical emergencies, accidents, and lost or damaged luggage. Insurance can be a lifesaver. Some travellers opt not to buy insurance because they think it’s a waste of money. Others, on the other hand, unknowingly pay more for their insurance because they are not aware of terms like excess travel insurance. The word “excess” refers to the amount you agreed to pay if your claim exceeds the limit of your insurance. To ensure that you get what you paid for, it pays off to review some basics to determine what plan best suits your travel needs. 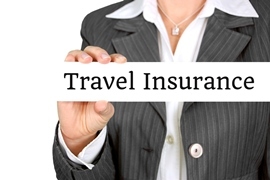 Basically, travel insurance policies are purchased before your trip. Your purchase can either be intended only for delayed or cancelled flights, lost baggage accidents, and medical evacuation scenarios. The so-called “comprehensive insurance” covers all of the elements mentioned. Travel insurance expires within a definite time period. Even if you are paying for an annual plan, the unused amount will not be carried over to the next year. Costs vary depending on the length of travel, the size or value of the baggage, passenger’s health condition, and terms and conditions of the flight ticket. Travel insurance normally takes approximately 5 to 12 percent of the trip’s total cost. Policies differ from one state or country to another. Make sure to ask your insurance company’s eligibility to your destination before making a purchase; otherwise, you do not have any claim. Insurance experts said if you cannot pay for travel insurance, you cannot afford all possible travel expenses. The four basic types of travel insurance cover single trips, multi-trips or long-term, expatriate, and foreign national. The single trip insurance is valid within 90 days from the date of departure, while a multi-trip can last up to a year. Expatriates are intended for individuals living or working overseas, while foreign nationals are for non-U.S. citizens. Similarly, travel insurance is based on the elements it pays for such as medical and dental care, medical evacuation, repatriation of the body in case of a fatal accident, flight cancellations and delay, lost baggage, and legal aid or multilingual assistance. Medical and dental insurance do not pay for routine checkups or cleaning. Medical evacuations are performed on emergencies requiring an immediate transfer to the nearest hospital. The compensation for cancelled or delayed flights is subject to circumstantial reasons like transport strike, weather disturbances, sickness or death of the traveller or his immediate relative or any other grounds that force the airline to revoke the trip. The compensation is only reimbursable, so you need to pay for the whole amount for your trip to be rescheduled. Lost or damaged baggage is compensated with a fixed amount based on the company’s policy. If you are carrying valuable items such as computers, jewellery, and camera equipment and they are covered by your policy then you will be refunded the cost if they get lost or stolen. In the United Kingdom, you can purchase an annual, multi-trip policy for as low as £30, but there may be a catch. So, always read the fine print and do not rush into buying a policy just because of the perks and bonuses you do not really need. If necessary, purchase excess travel insurance.